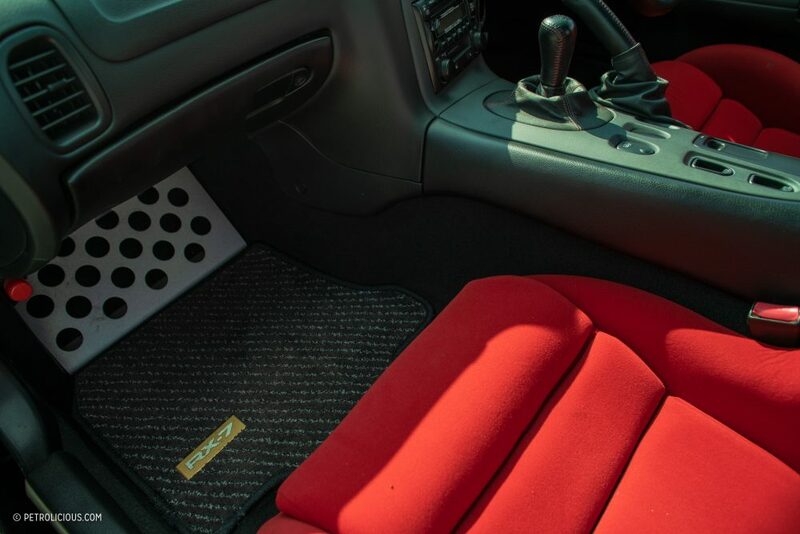 The influence of modified Japanese sports cars found a new high watermark in the car enthusiast community in the 1990s and early 2000s, especially with the younger subset looking for something other than their parents’ favorite European and American fare. 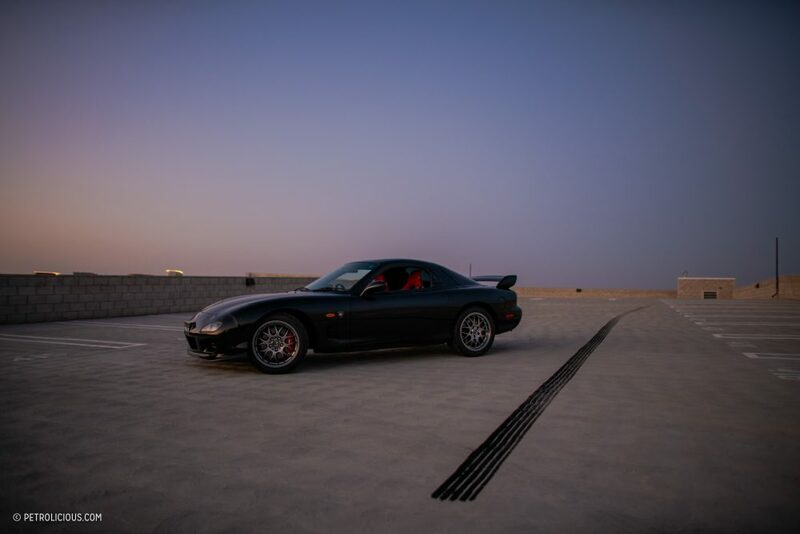 Skyline GT-Rs, Toyota Supras, Mazda RX-7s, and their contemporaries provided already-potent bases upon which one could build a truly personalized machine, in regards to both performance and aesthetics, and with outcomes on either end of the spectrum of taste. The model lines were nothing new, but they arguably peaked—and simultaneously—during the 1990s and early 2000s. 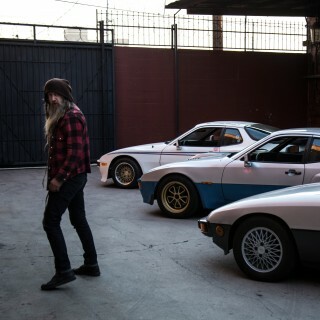 This is when Aaron Backx grew up, so his obsession with cars like the twin-turbo rotary-powered RX-7 in today’s film shouldn’t be surprising. 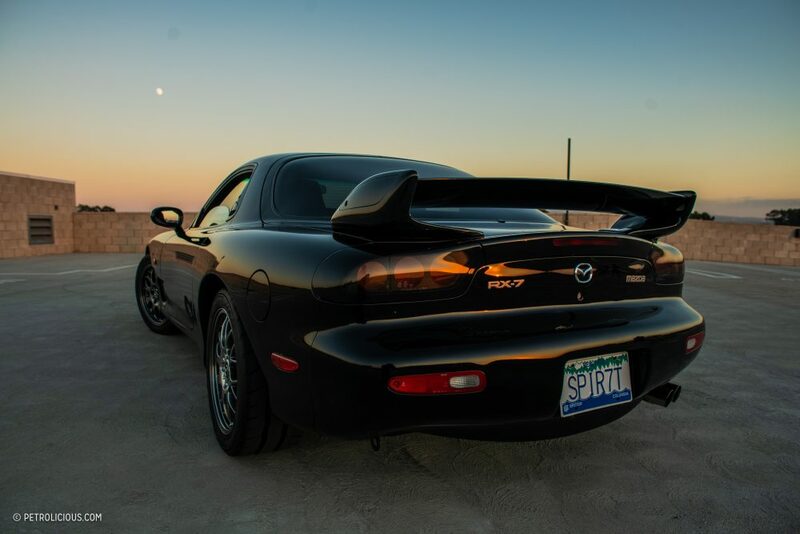 A lot of kids were affected by the so-called “Gran Turismo era” of JDM envy, but very few of them can say they grew up to own one of the halo cars of the era: Mazda’s ultimate send-off to the iconic RX-7: the Spirit R.
Aaron’s decision to take an automotive technology class in an elective slot opened him up to the mechanical side elements of engines and the engineering that went into a full car, and he was particularly interested in the rotary engine, which prompted him to do a class project on the subject of Dr. Wankel’s novel internal combustion engine design—who said your classwork wouldn’t be a major part of your life later on? 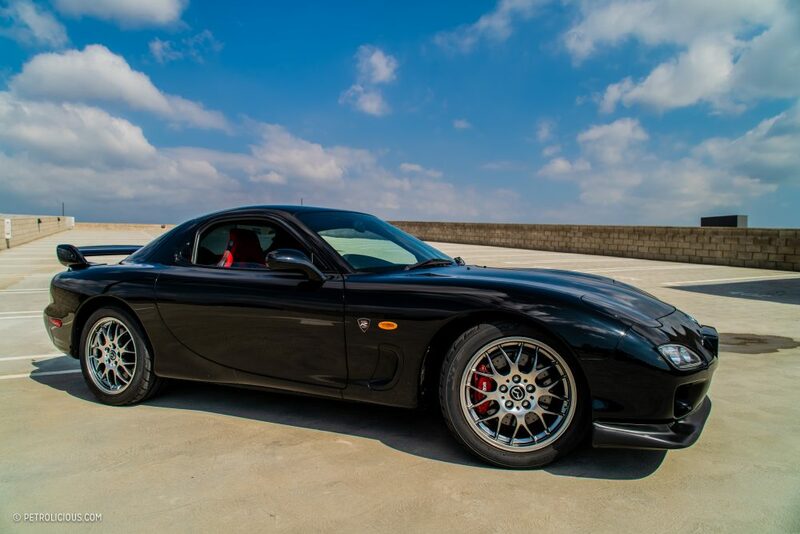 Back then the RX-8 was Mazda’s flagship sports car, and it would also turn out to be their last with rotary power. 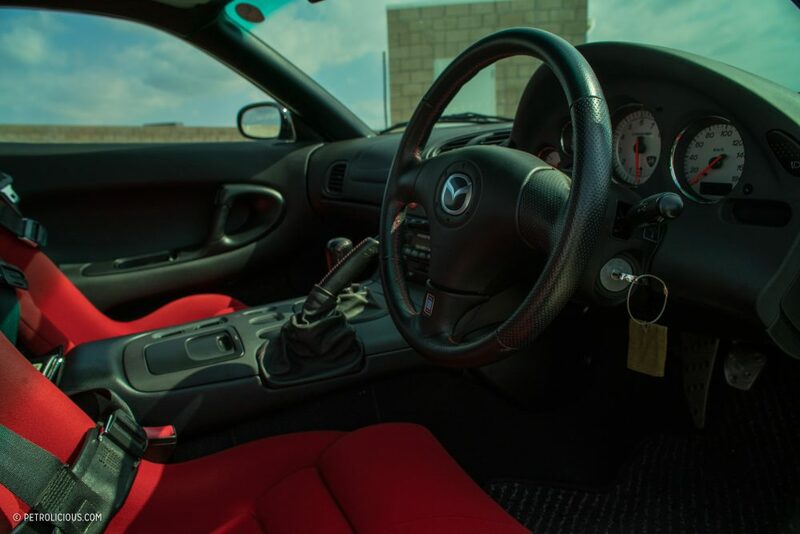 While Aaron wouldn’t call himself a Mazda diehard, he was in the market for an RX-8 a few years after he was doing high school projects on the rotary engine. 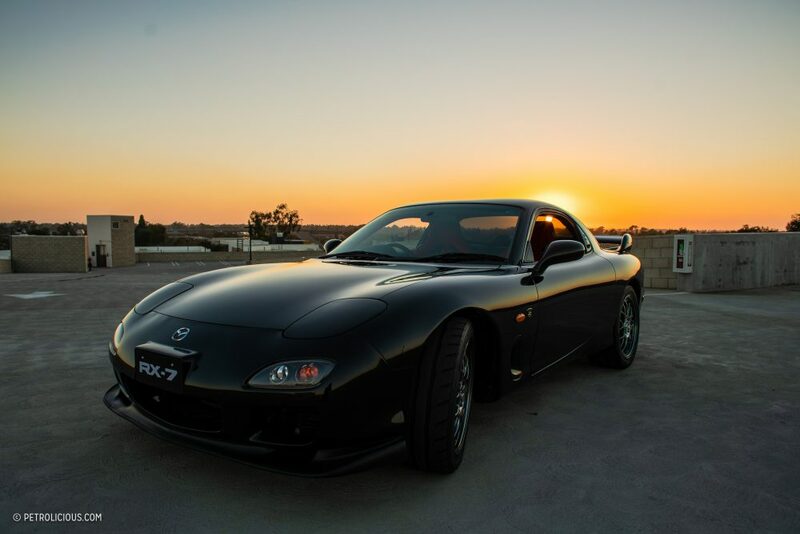 During his search for an RX-8 Aaron ended up making, as he puts it, “the mistake” of testing an FD (third generation) RX-7 instead. 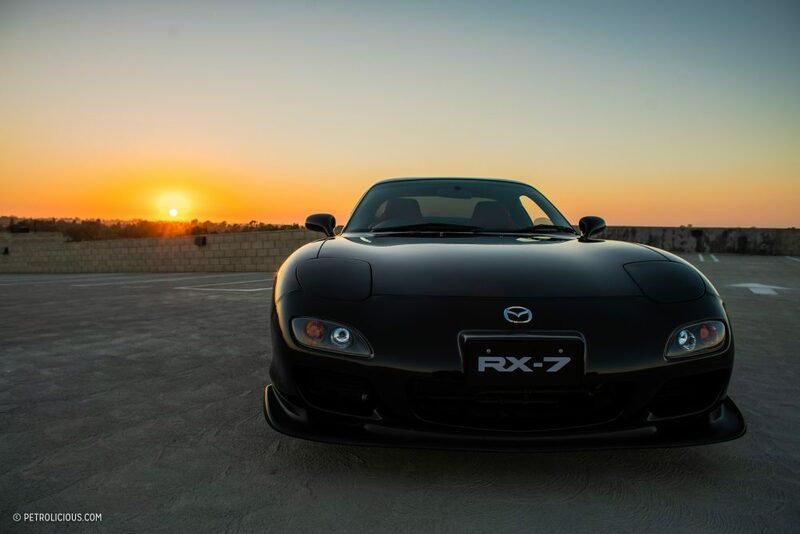 As it happened, one of the potential RX-8s he was going to buy was owned by a guy who also had an RX-7 and offered it up for a test drive. 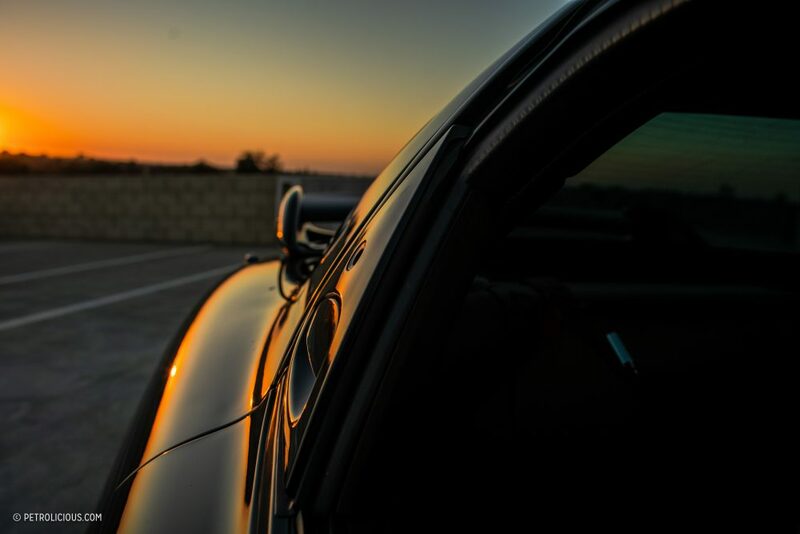 Aaron knew it wasn’t a practical car to be chasing at that stage of his life, but he couldn’t resist a few laps around the block and two minutes later his made had been made up. 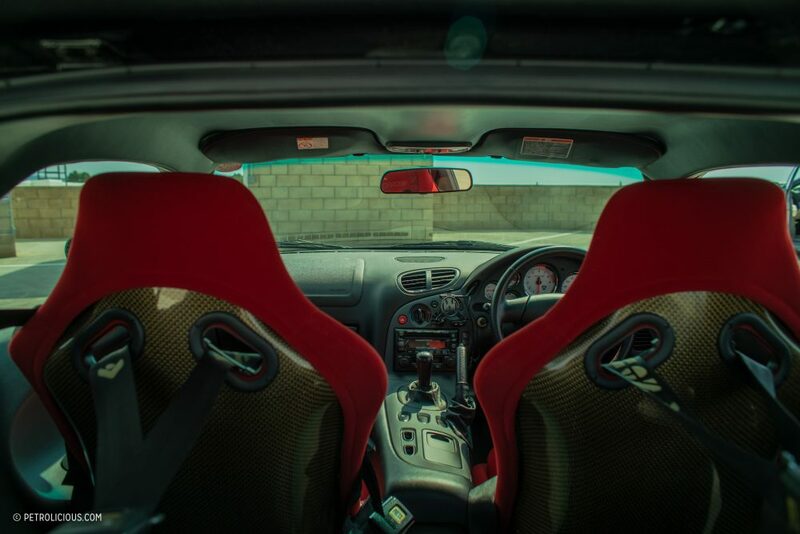 Patience would need to be exercised though, and because cars like the RX-7 were so popular with the tuning community, finding a stock, taken-care-of example today requires some diligence, and unless you find the “little old lady special” paying for this rarity doesn’t come cheap. 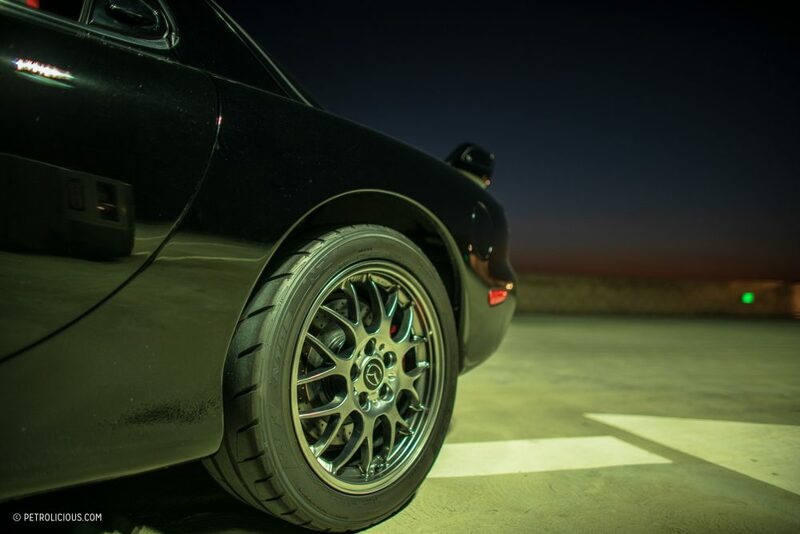 It was all worth it for Aaron, of course, and who are we to argue against the charms of the last RX-7? 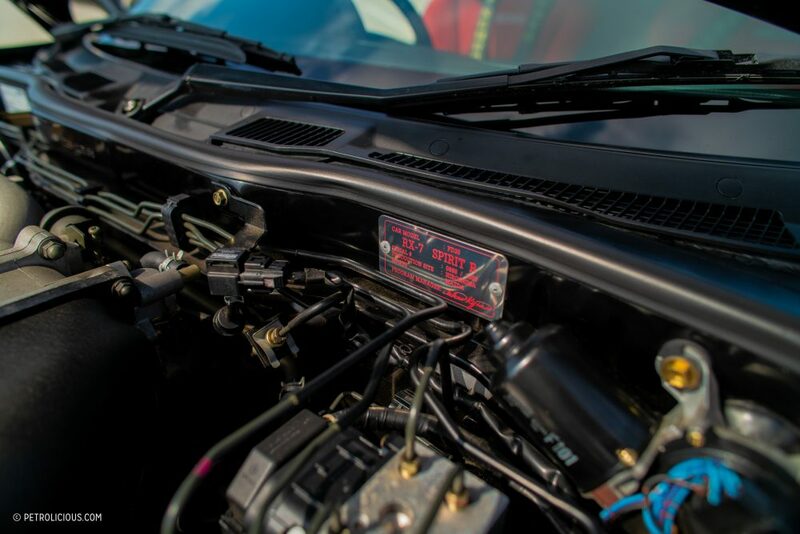 That double bubble roof, a great power-to-weight ratio, and supremely agile thanks in large part to the tiny engine that’s all but weightless compared to traditional piston designs producing similar power figures. 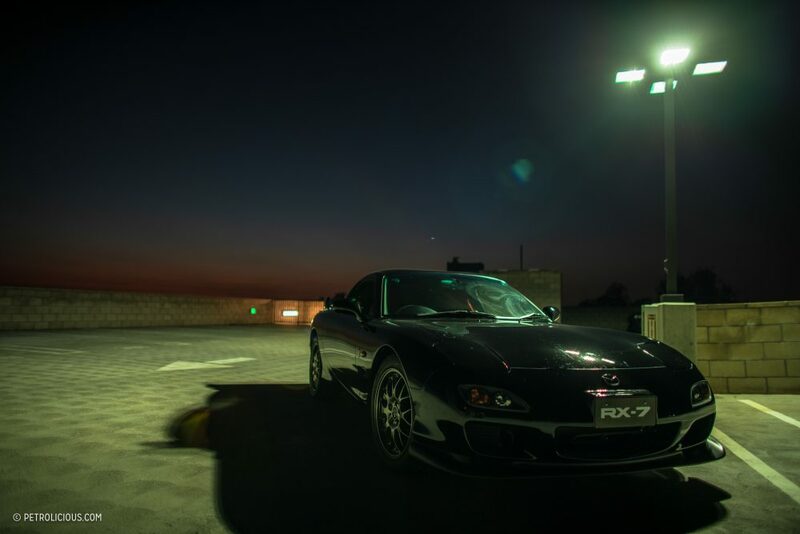 Throughout high school and university, Aaron had saved his money for something special, and he eventually found a place to park his savings in the form of a dream-spec Mazda RX-7. 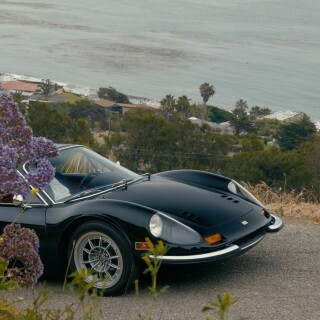 He would routinely check the Japanese auction sites with help from some import specialists in Canada, but it still took about two years of active searching to find the right car. 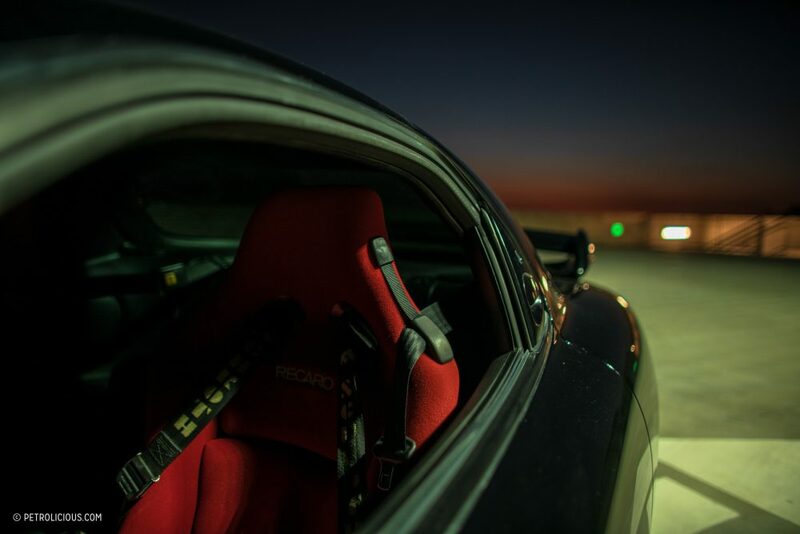 Aaron knew it had to be a black Spirit R with the red Recaro seats and manual transmission, in RX-nerd terms, one of the Type-A versions of the Spirit R. What even is a Spirit R, though, you might be asking? 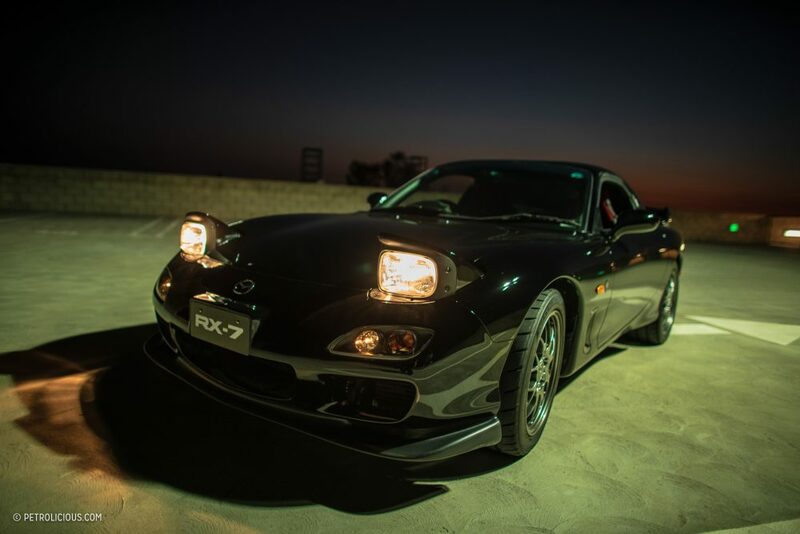 In short, it is the ultimate version of the RX-7 as produced by the factory. 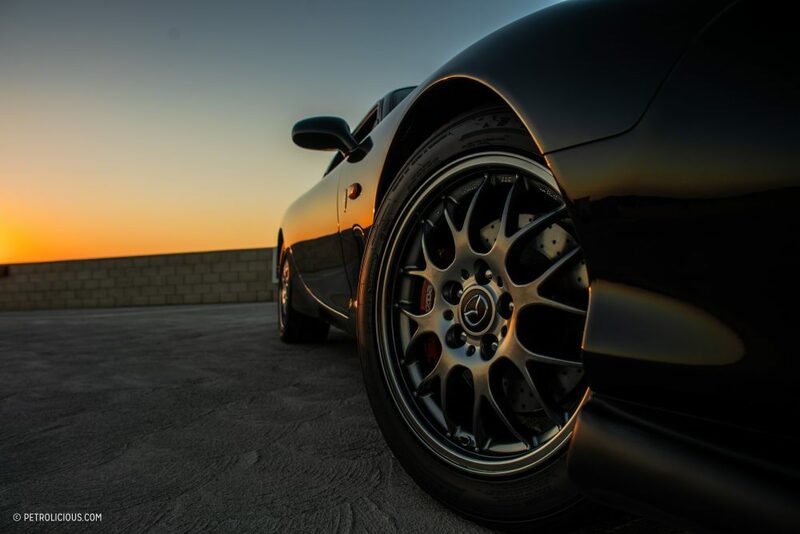 The most refined version of the twin-turbo rotary motor, laden with all the best bits from Mazda’s previous special editions of the RX-7, Spirit Rs are the ones to get if you’re looking for a definitive example of the most popular rotary sports car ever built. 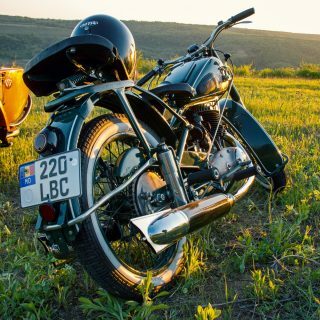 The Type-A versions of the Spirit R are the most sought-after by the enthusiast community today, as it is the most powerful and lightest of the three versions of the Spirit R (the 2+2 configuration makes the Type-B equally powerful but a tad heavier, while the automatic-transmission-only Type-C has a slight reduction in power and also weighs more than the Type-A). 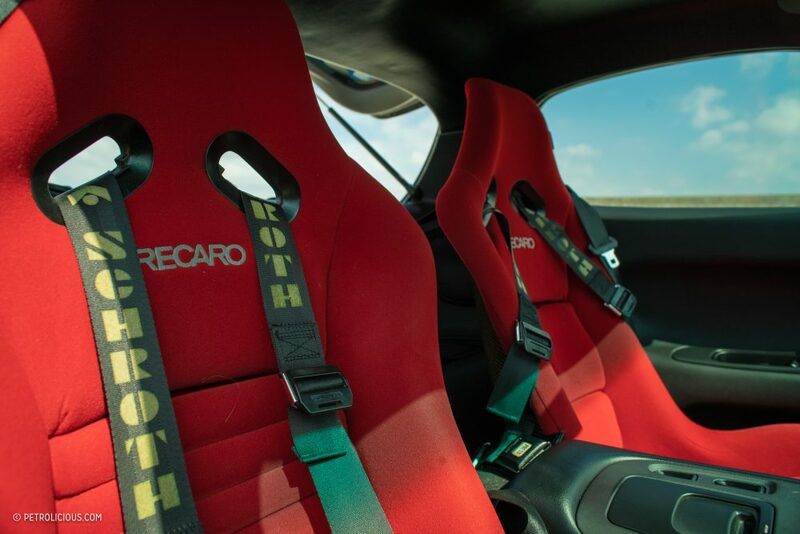 It also has the best part of the Spirit R’s batch of upgrades (which already include forged BBS wheels, larger pistons in the brake calipers, Bilstein shocks, and more): the carbon fiber Recaro seats. How many other cars can claim they were delivered from the factory with fixed-back cloth-wrapped buckets? 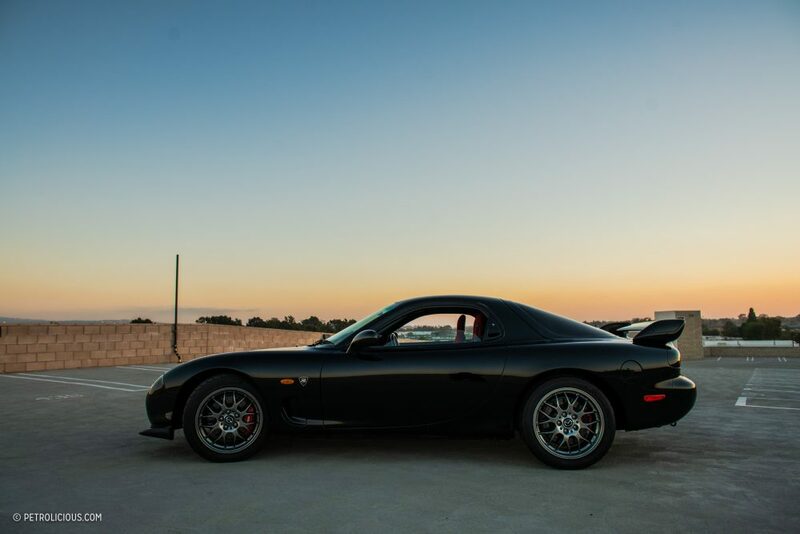 So while the RX-7 was one of the leaders of the tuning scene taking over in the Y2K era, Aaron plans to leave his completely stock—when the manufacturer already gave you two turbos under the hood, four forged BBSes, and two Recaros and a Nardi in the cockpit, why wouldn’t you? I had a 1989 RX7 cabriolet ,it had this funky half hard top that you could either remove, or make it fold along with the soft back section. 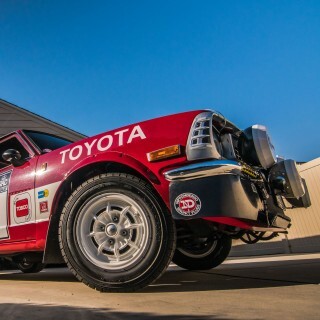 I loved everything about that car, the motor was silky smooth and it could rev to the heavens and never cause a problem. It was weak on low end torque and you needed to pay attention to that. 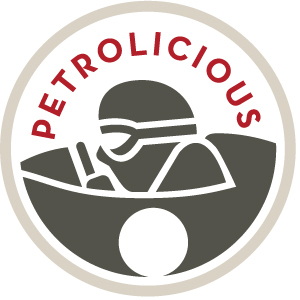 It would use a quart of oil every few thousand miles , I never thought that was a problem though. 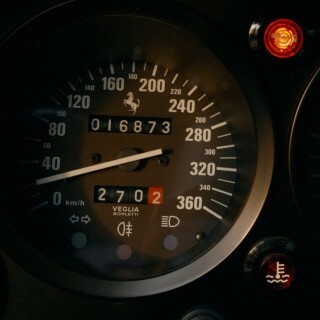 Wish I still had that little arrest me red devil today.